“Help us spread a message of continued hope to breast cancer survivors and encourage early detection through mammograms with your purchase of Ribbons of Hope. 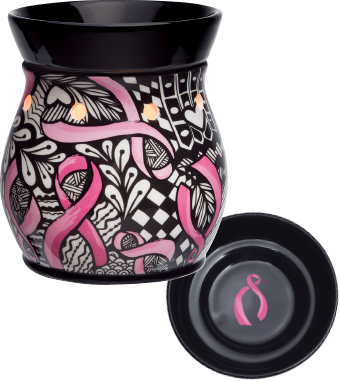 To get yours please visit my personal Scentsy website and share this with your friends. This one is really pretty. I don’t need any Scentsy products right now (have many) but will keep you in mind for when I do.